The AIE Impulse sealers AIE-400P are quality made for reliability. 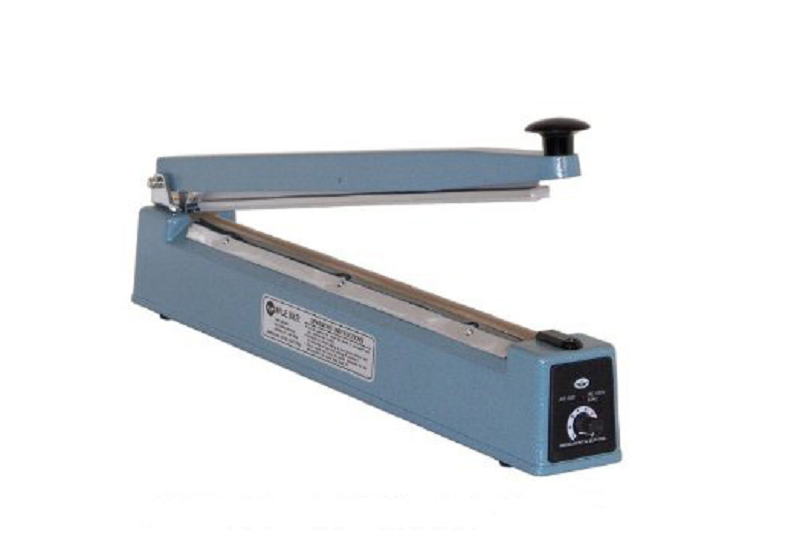 Bag Sealers are perfect for sealing poly bags and poly tubing. They are energy efficient - these AIE-400P Impulse Sealers only use power when sealing. It takes only seconds to make an airtight and watertight seal on virtually any heat sealable material. All AIE impulse bag sealers come fully assembled and ready to go. According to the manufacturer, they are best suited for KEL-F, POLYFLEX, P.V.A., POLYETHYLENE, POLYURETHANE, POLYVINYLCHLORIDE, POLYPROPYLENE, PLIOFILM, TIVAC, SARAN and most other heat sealable materials. Each sealer is manufacturer tested and comes with a 180 day manufacturer's warranty. Click Warranty Tab above for complete details. Click Here For AIE-400P Parts. Excellent quality and appears to be very durable. Great price, fast shipping made for easy transaction. Happy! 117 points will be rewarded to you when you buy this item. If your points show zero, make sure to select a product and points will be rewarded after checkout.